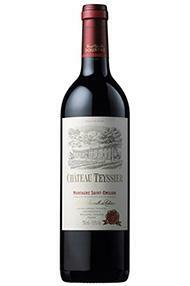 The 2014 Château Teyssier Montagne ($212.05) is a red wine made by Château Teyssier from the region of Montagne-Saint-Emilion harvested in 2014 and has an alcoholic content of 13%. Uvinum users rate this red wine with 4 out of 5 points. Strong aromas of nuts. Raspberry flavour. 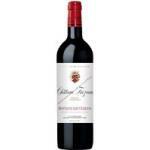 6 X Château Teyssier Montagne is good. It disclosed a very nice smell of white roses. I noticed an exquisite fruit flavour. Should absolutely be paired with fish. It was part of a Corporate gift. At sight it has an intensive cherry colour. Pleasant smell of tea. It seemed a bit salty, it reminded me the sea. Dark cherry colour. Smelled soft, like cinnamon and vanilla . It is the softest wine of Montagne-Saint-Emilion. 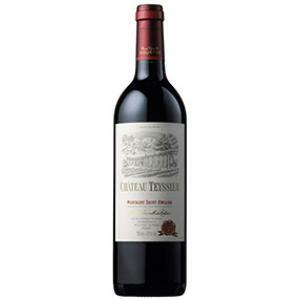 If you want to buy 2014 Château Teyssier Montagne, at Uvinum you will find the best prices for Montagne-Saint-Emilion red wine. Buy it at Uvinum, wherever you are via all your devices. We have over 59.000 products for sale and we are the leaders in sales of wine, beer, and spirits in Europe thanks to more than 38.000 customers who trust us.